When you master the small things, it will help you to save lots of time during daily routines. Google Chrome has lots of hidden features that many of us never know. One such feature is a drag and drop of tabs, links and bookmarks. In this article let us explain more on how to use drag and drop features in Google Chrome. Remember Chrome does not offer the toolbar customization like Firefox where you can drag and rearrange the tools. However, you can still get benefited from Chrome’s drag and drop features. Sometimes you may work with multiple tabs on a single browser window. Though Chrome shows the site icon (called favicon) on the tab, it is difficult to navigate to different tabs on single window. You can simply drag any important tab you want to check frequently and rearrange the sequence. Drag any tab and move the tab’s position left or right. For example, you can keep the tab in first position on the browser. This will help you to access the tab easily with “Control + 1” keyboard shortcuts in Windows. On Chrome Mac, use “Command + 1” shortcut to reach out to the first tab on the browser. Remember, you can also pin the tab at start, however pinned tabs will remain open even you close the browser thus affecting your privacy. It is also inconvenient to pin and unpin every time. Related: Learn how to manage tabs in Google Chrome. You may also keep few tabs on a new browser window. Drag a tab and move it up or down from the tabs bar. You will see Chrome detach the tab in to a new window. Leave the tab to keep it on a new window. You can also drag and drop it on another open window move the tab. In both the above methods, you don’t need to move a single tab. Hold shift key and select multiple tabs. Now drag to move all the selected tabs to another position on the same window or move to other browser window. Related: Google Chrome tips for beginners. Drag a link and drop in the Chrome address bar. Now press enter key to open the link. Chrome will highlight the existing website address when you move the link to the address bar. Move the link to a tab bar, to open the link in a new tab directly. Chrome will show you a down arrow button on the tabs where you want to drop the link. You can drop the link between two tabs also. Add any links on the webpages directly to the bookmarks bar or any bookmarks folder by dragging and dropping inside on the bookmarks bar. 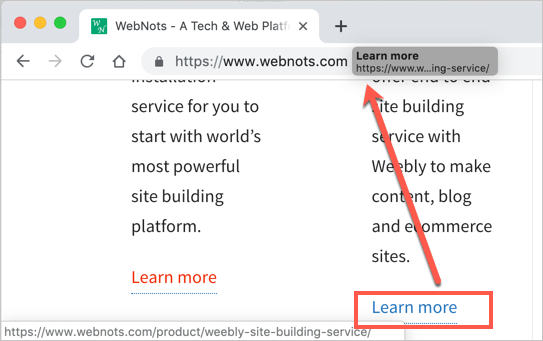 Chrome will show you pipeline bar when you move the link to the bookmarks bar and also you can see the horizontal line when you want to drop inside a folder with existing links. Every time you don’t need to go to the bookmarks manager to arrange the folders. You can simply drag and drop any folder or links to anywhere on the bookmarks bar. Go to “chrome://downloads” command URL to view all previously downloaded file. If you want to view any of the text file content, you can drag the download link and drop on the address bar. You can also drop the file link in a new tab to open the content in a new tab. After downloading a file, you can drag the file and drop to the address bar to view its content. Remember, this will work for text files, however zip files will get re-downloaded again when you drop in the address bar. You can drag files from your computer and drop on the open Chrome window to view the file on the browser. For example, you can do this with images, text files and videos instead of searching application to open the files. Drag and drop is an easy and convenient feature that can improve your productivity. For example, when you have files like JSON, you don’t need to search for the app that can open the file. Simply drag the file and drop it on Chrome window to open the content in Chrome. Similarly, we hope the other methods explained above can save your time.